HCM CITY – HCM City’s industrial sectors have seen good growth due to the city’s efforts in creating a better environment for investment and businesses, the city’s Department of Industry and Trade said on October 11. Within the first nine months of 2018, production activities remained stable, and the city attracted more foreign and domestic investment in production and processing. 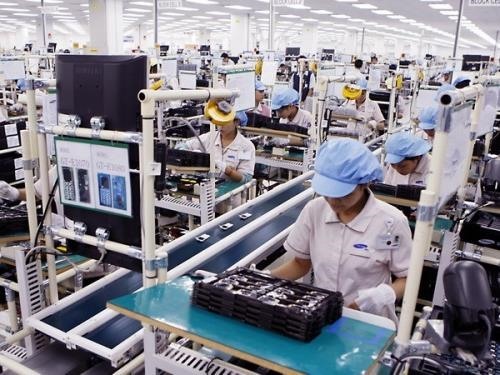 Trần Trí Dũng, head of the department’s General Financial Planning branch, said the city’s Index of Industrial Production (IIP) in September was 12.29 per cent higher than last September. Total production of industrial goods in the first nine months was $17.47 billion, 7.1 per cent higher than last year. Lý Kim Chi, director of HCM City Food and Foodstuff Association, said that customers’ incomes and demand for high-quality goods had risen, giving firms more opportunities to increase production and promotions. Production in mechanical sectors also saw a high growth rate due to favourable policies; while electronic equipment and machinery grew by 19.14 per cent and 14.72 per cent, respectively. Production of chemicals, rubber and plastics grew by 3.63 per cent in the first nine months, while electronics grew by 18.28 per cent. In addition, more companies are investing in modern machiney to produce automobile components. To reach the goal of 8-8.5 per cent growth of the city’s IIP in 2018, Nguyễn Phương Đông, deputy director of the department, said the department would help the People’s Committee organise meetings and tackle problems that firms are facing.